Abuja, 14th March, 2018. The Commission of the Economic Community of West African States (ECOWAS) on Wednesday, 14th March, 2018, signed a Memorandum of Understanding (MoU) for a 31.6 Million Dollars grant with the Government of China in view of the proposed ECOWAS Headquarters building project. 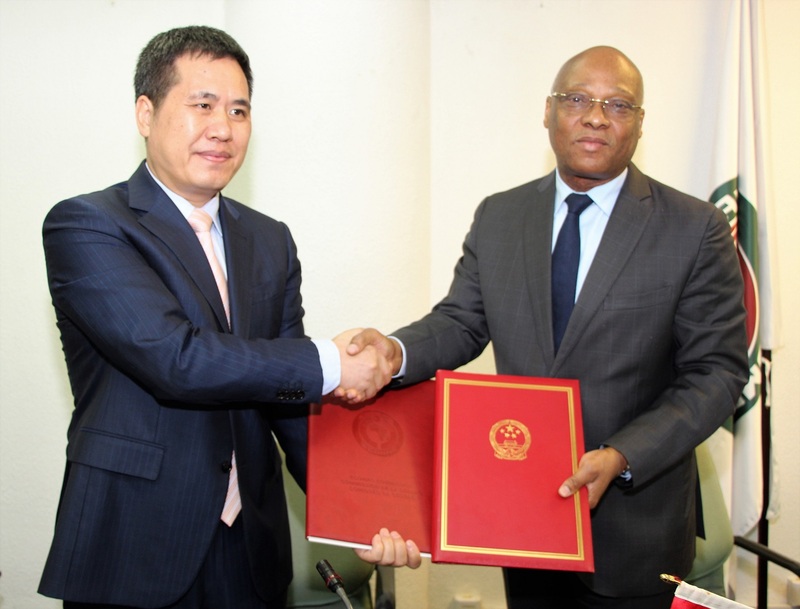 The President of the ECOWAS Commission, Mr. Jean-Claude Brou and the Ambassador of China to Nigeria and ECOWAS, Mr. Zhou Pingjian signed for both parties in a bilateral meeting held at the ECOWAS Commission headquarters, Abuja. Mr. Brou expressed gratitude to the Chinese government for the grant saying it is a mark of goodwill from the Asian country to ECOWAS and then further expressed the region’s Commitment to foster the ECOWAS-China cooperation. According to Mr. Brou, the need for a new building for ECOWAS was necessitated by increasing number of staff which led to the Commission to presently operate from three buildings distance apart from each other. Mr. Brou urged the design team to ensure that the building has an architectural that reflect the culture and Africaness of ECOWAS Member States. He was also thankful for China’s readiness to maintain the building 3 years after completion. Ambassador Pingjian on his part, reaffirmed China’s commitment to continue to promote the China-ECOWAS friendly cooperation through similar economic and technical cooperation saying that China values the cooperation and stands “ready to nurture this relationship” by the construction of the ECOWAS Headquarters. Mr. Pingjian assured ECOWAS that the construction will be of high quality that will take into considerations the cultural biases of the region. The agreement which comes into force with immediate effect will cater for offices and conference complex building, as well as road facilities, electrical equipment, parking lots and security posts within the proposed site of the project. The design team will start work immediately for the project which was initiated in 2012 in line with the aspirations Member countries. An ECOWAS designated authority and the China Development Bank Corporation will work together to verify records of account payments at regular intervals. 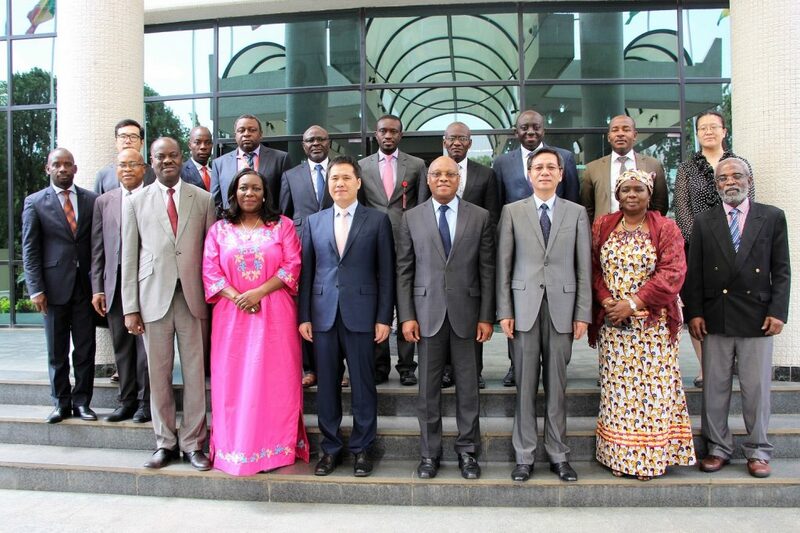 The Vice President of the ECOWAS Commission, Mrs. Finda Koroma, some Commissioners of the ECOWAS Commission as well as the Counselor of the Chinese Embassy in Nigeria, Mr. Zhao Linxiang were also in attendance at the signing ceremony of the MoU for ECOWAS and China respectively.